As a maker, how many times do you see something really cool and think, “I could totally make that myself…”? Happens all the time, right? But how often do you actually make it? Ah, there’s the rub. 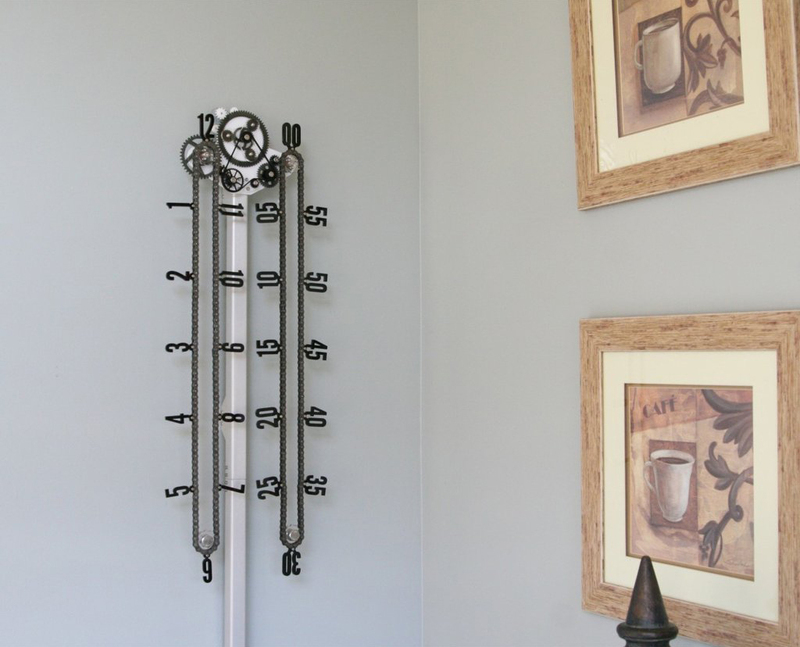 Like you, Henry Stafford has seen his share of interesting products to make, such as exposed gear bike chain clocks he often stumbles upon while surfing the web. The difference this time was that not only did he start making these kinds of timing chain clocks, but based on lots of great feedback he also launched Needlessly Complex and began selling them, too. And he credits Ponoko with helping him get past the idea phase and into full-blown production mode. Here’s his story. A sales engineer for a network security company, Henry spends his days making sure that only the good 1s and 0s get from Point A to Point B. However, he actually has a mechanical engineering degree that’s not really been put to good use…until now. 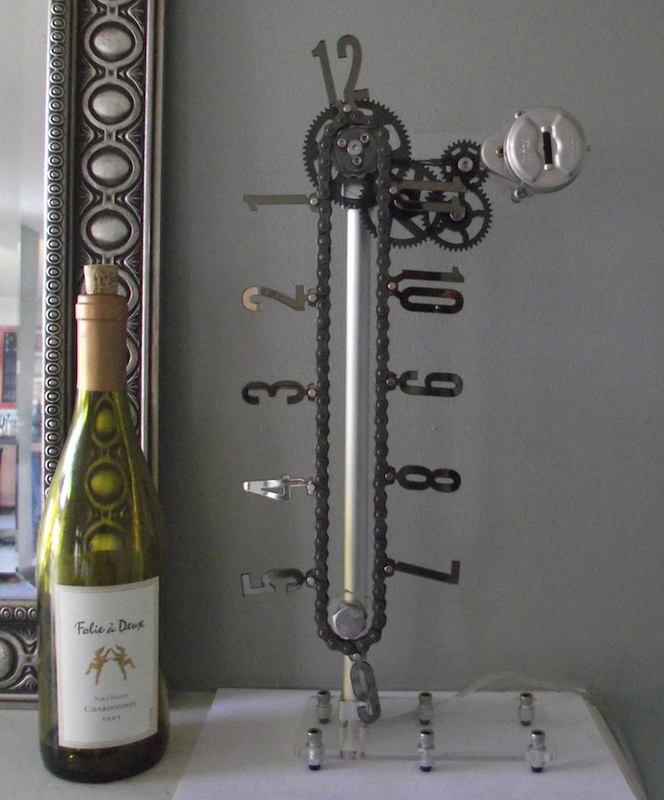 So how did he begin making and selling a line of exposed gear bike chain clocks? It was completely accidental. After designing and ordering a few simple parts and then realizing how precise the laser cutting was, Henry moved on to creating more complicated parts such as gears and drivetrains for his exposed gear bike chain clocks. “I started pretty small with just a bare-bones version, but I was hooked on thinking up more complex ways to transfer motion from the motors to the final driveshaft,” he explains. With The Slider, Henry developed a way for this clock to display both the hour and minute by having the current hour numeral move across the minute divisions as time passes by. The lower ring rotates along with the chain + keeps the chain in place. But what if you want more cogs than that? Then Lotsa Cogs is the exposed gear clock for you. For this design, Henry combines an actual bicycle chain and a rear gear set with laser cut acrylic numerals and motor mounts. Add industrial synchronous A/C motors, and you’ve got an accurate time-keeping machine. But Henry’s most popular item, by a large margin, is the Dual Chain Clock with a visible planetary gear drive. Every part of the mechanism is required for it to work, but the thing as a whole is more complicated than it needs to be—thus, needlessly complex! 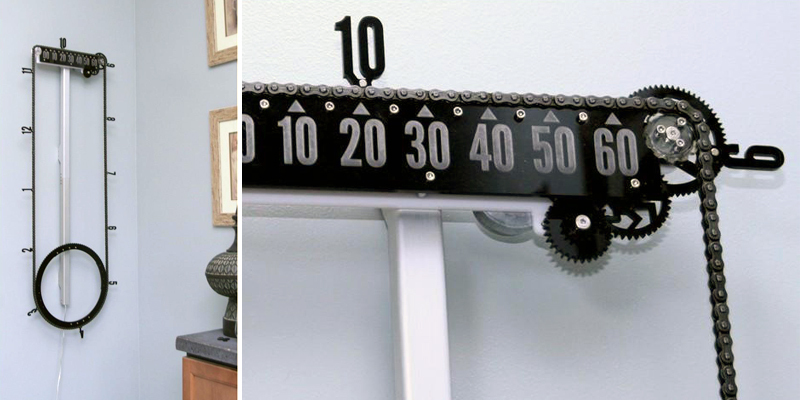 There are two separate roller chains with laser cut numerals, one that displays the hour and one for the minutes. 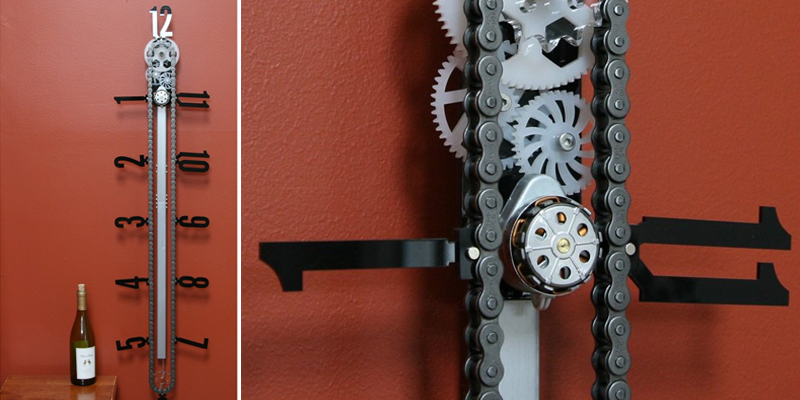 Each number chain is geared so that the current time can be read as the numbers travel over the top sprocket. It also features a smaller chain and sprockets as part of the drive chain, along with laser cut gears and other elements. Looking for something a bit bigger? 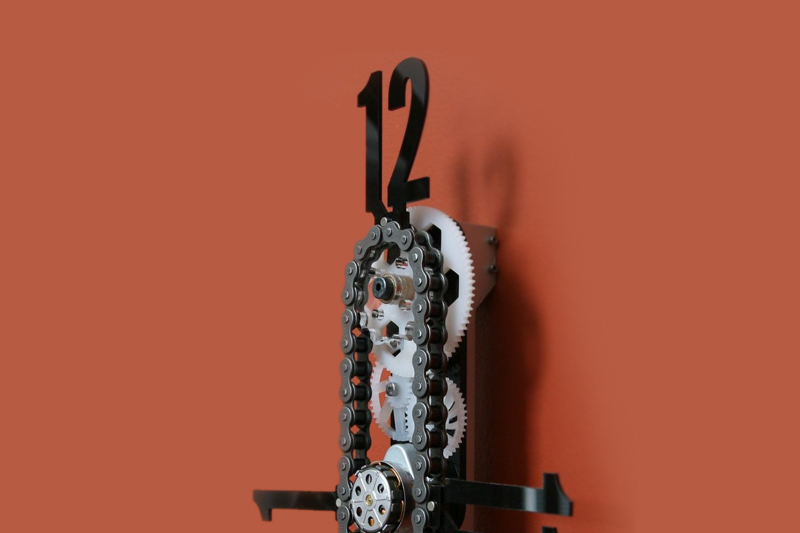 The Biggest One is a scaled-up version of the chain clock that uses a 5/8 inch link chain and features larger numerals to match. Even though it’s larger, this clock is also silent running thanks to it’s slow pace and bearing-supported main drive shaft. 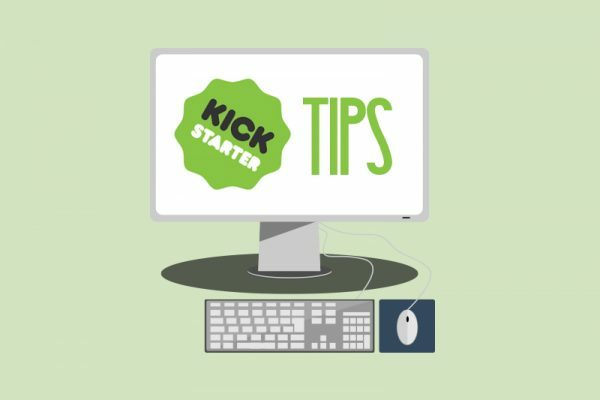 Henry says that he really enjoys coming up with new ideas and trying to make them into “something useful, or at least something interesting.” And others agree. 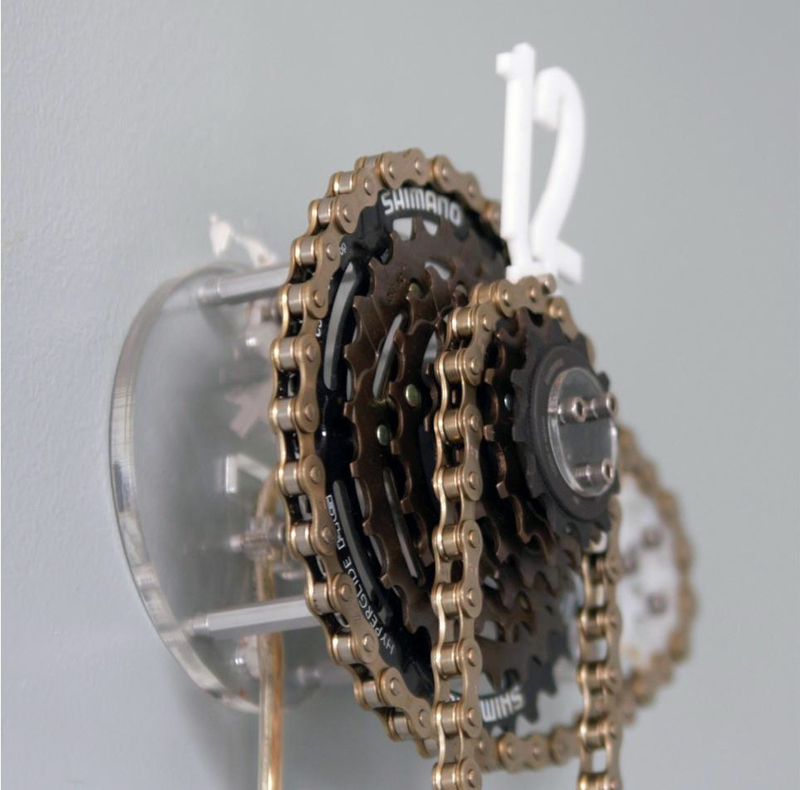 After posting pictures of the exposed gear bike chain clocks on a couple of social media platforms “just to show off,” he had multiple people asking where/how/if they could buy one. 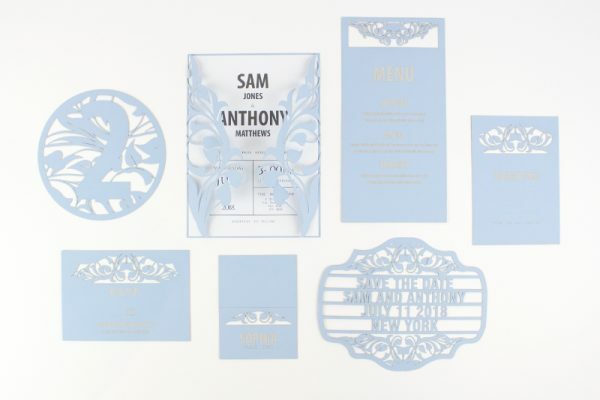 The key to getting potential buyers’ attention, he says, is to be original and value your own work. 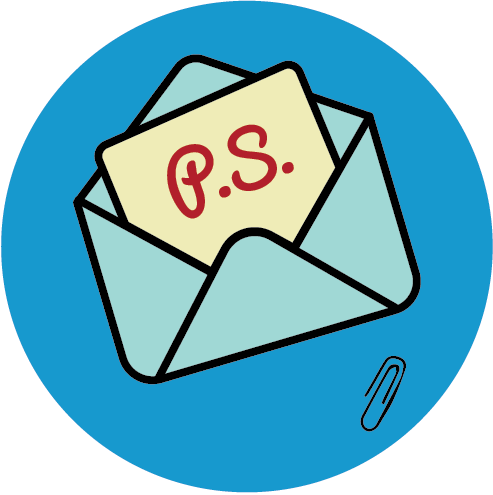 Hi, Henry said that the key to getting potential buyers’ attention is to be original and value your own work. Do you agree that the price also matters?